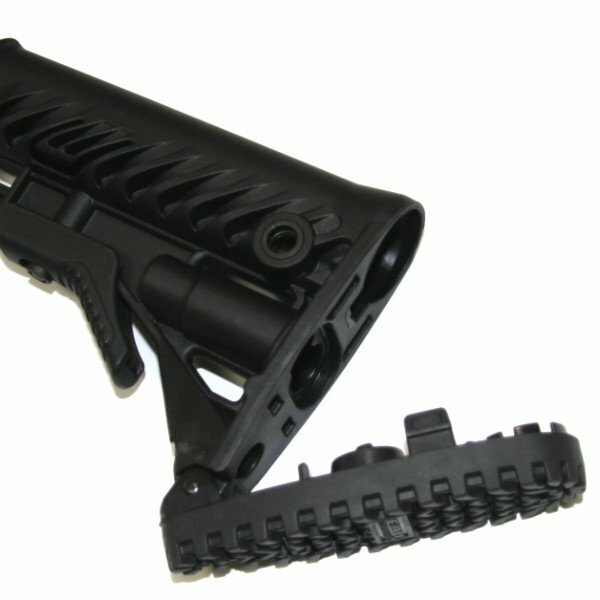 Fab Defense Folding M4-AKMS Buttstock replaces your under-folder stock with an M16/M4 collapsible / side-folding stock. 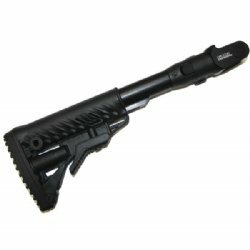 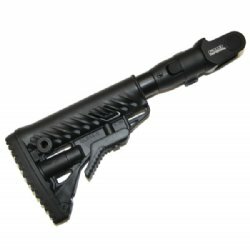 Great replacement for the not-so-ergonomic underfolding stock. Fits any stamped receiver AK that has a underfolding stock. Greatly increases shooting comfort without sacrificing pre-ban style features. Mounting block for receiver is made from hard anodized aluminum and the folding mechanism is made from solid high strength polymer. This keeps the weight at a minimum and keeps the price down as well. 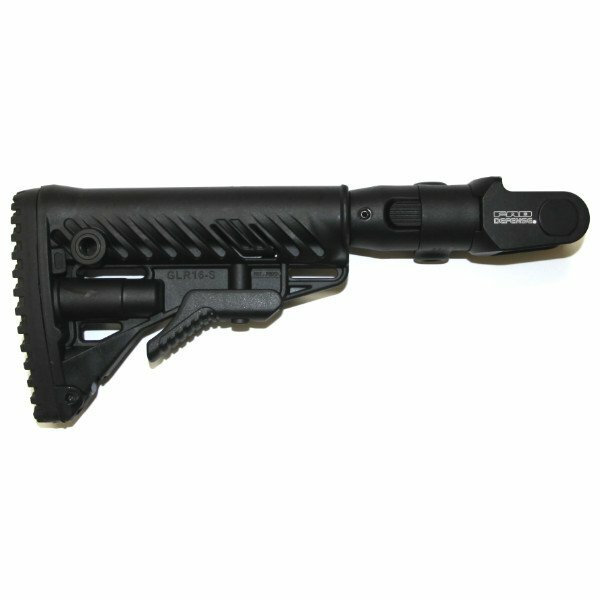 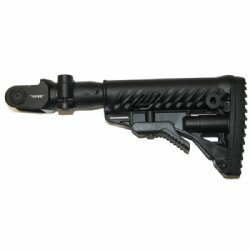 M4 stock includes 5 sling mounting options including two quick detach mounts (one on each side of the stock). 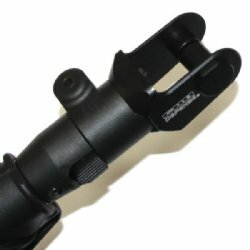 Clever swing down buttpad offers a water tight battery compartment. This is a light weight, strong and durable replacement stock for your Underfolding AK.